The year 2016 came and went with no additional states legalizing online poker, but a handful of Las Vegas-style casinos with dozens of poker tables between them entered the market. Currently there are about 5,800 poker tables spread between more than 500 poker rooms nationwide. Casino revenue continued to improve, as well as poker tournament attendance, as the game continues to see a small expansion across the land based casino landscape. As we close the book on 2016, it marks the third year in a row that regulated online casino play was limited to just Nevada, New Jersey, and Delaware. Thanks to the election of Donald Trump, a billionaire Republican, there’s been renewed fear that fellow billionaire Republican Sheldon Adelson will get his long-sought online casino ban. The years ahead will be crucial for online casino legalization in America, an industry that could reach $4 billion by 2020 if there’s no prohibition enacted. Adelson claims that online casinos hurt the brick-and-mortar industry, valued at $70 billion a year if you combine the commercial and tribal markets. Arguably, the worst news for poker players in 2016 was that another year passed without California, the largest tribal gaming market in America, legalizing online poker. Lawmakers there have looked at doing so for the past 10 years, with no success. Progress was made in 2016 in the form of getting the horse racing industry in the state to sign off on the legislation, thanks to lawmakers offering the industry up to $60 million a year from online poker revenues in exchange for not being involved in the space. However, the state’s powerful tribal gaming industry, which generates nearly $8 billion a year in economic output, couldn’t come to a consensus on whether or not a company like PokerStars should be allowed to do business in the Golden State. PokerStars, which has about 70 percent of the worldwide online poker market, has partnered with several California card rooms and also some tribal casinos for potential online poker. Other tribes have argued that PokerStars was able to gain an unfair market advantage while operating in a legal gray area in the past in California. The so-called suitability debate will continue in 2017. Pennsylvania was on the verge of legalizing online casinos in 2016, as the House passed a bill in the summer. Online gambling was part of a larger gambling reform package designed to bolster a $3-billion-a-year gambling market located within a region with a wave of new casino construction. However, Keystone State Senators proved unwilling to expand gambling. It’s worth noting that Adelson owns one of the largest casinos in Pennsylvania. What was especially striking about Pennsylvania in 2016 was that the State Supreme Court ruled in September that a local casino tax was unconstitutional because it affected the state’s 12 casinos disproportionately. Despite the threat of communities losing millions of dollars in the local share tax on casinos, Senate lawmakers still declined to approve a gambling reform bill that included online gaming. A legislative fix to the tax issue was also put on hold until next year. Throughout 2016, Michigan appeared to have a real chance to legalize online casino gambling, but December came with no additional progress on the legislation. A Senate committee approved the measure in June, but months of inaction followed. Michigan’s attorney general was one of 10 across the country who signed a letter to President-elect Donald Trump urging him to get behind the Adelson-backed plan to “restore” America’s 1961 Wire Act (RAWA), which would ban online gaming for real money nationwide. Michigan has looked at online casino games for the past three years. The state decided to go with the online lottery first, kicking off those games in 2014. Michigan’s commercial gambling market is worth $1.4 billion annually, while the tribal casinos in the state win $1.5 billion from gamblers each year. The online casino plan in Michigan would allow both commercial and tribal casinos to offer their games on the web. In October, Massachusetts begin a study of online casinos with the intent for it to produce legislation sometime in 2017. The Special Commission on Online Gaming, Fantasy Sports Gaming and Daily Fantasy Sports was created by legislation signed by the governor earlier in 2016. New York appeared poised to be the first state to legalize online poker since 2013 when the Senate passed a bill in the summer. However, the Assembly never voted on the bill, despite State Senator John Bonacic, sponsor of the bill, saying that “all of the gaming interests” in New York want online poker. The problem is that new Las Vegas-style casinos are still being built in the Empire State. The New York Gaming Association said at a 2015 online poker hearing that the state should wait until the new brick-and-mortars are open before allowing online casino gaming. As for the states with industries already, Delaware and New Jersey both saw gains in internet gaming revenue in 2016. New Jersey was up more than 30 percent this year, compared to the nearly $150 million won in 2015. Delaware’s year was more modest, but it did follow a year-over-year decline that was witnessed in 2015. Nevada, which only allows internet gaming in the form of player-to-player poker, doesn’t release revenue data on its online poker market. However, the Silver State’s overall poker market (which includes revenue from the web) has been basically unchanged in 2016 compared to 2015. Nevada casinos average about $10 million from live and online poker each month. There are now casinos in 40 U.S. states, leading many jurisdictions to bolster their respective gambling industries to keep tax dollars from flowing into the coffers of other states. The Northeast region is home to the most concentrated expansion of casino gambling in America. There are already dozens of casinos and racinos in the Northeast, with many more in the pipeline. New York found that its residents spend $1 billion a year at out-of-state casinos, so several years ago lawmakers there approved a plan for new properties. All the properties are for upstate communities, part of a state plan to boost struggling local economies. A total of $1.4 billion was invested into the new casinos. The first of four opened in December when the existing Tioga Downs racetrack in the town of Nichols was converted into a robust gambling facility. It has 12 poker tables. Next up is the $500 million Rivers Casino and Resort in Schenectady, which is slated to open in February with 16 poker tables. 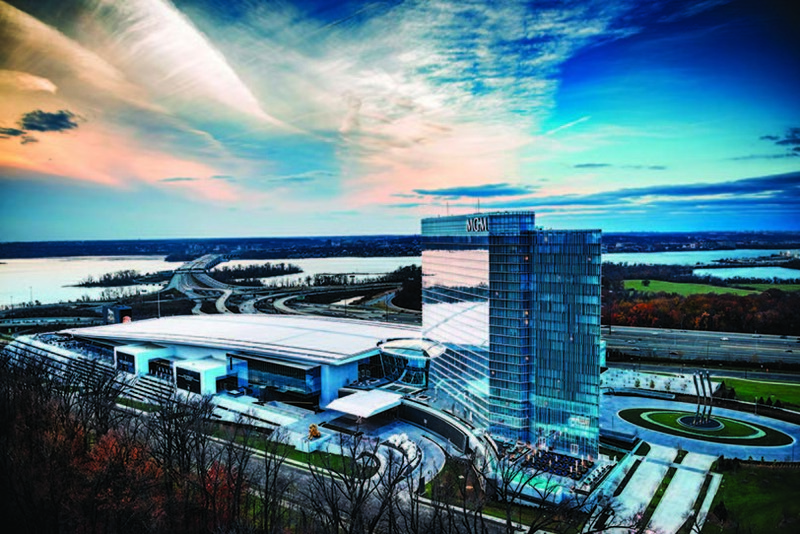 The $1.4 billion MGM National Harbor began taking wagers in early December, giving the state of Maryland a sixth casino. The casino’s 39-table poker room has already proven one of the busiest in the nation. Maryland’s billion-dollar gambling market will get a big boost from a Las Vegas-style casino right outside the nation’s capital. Maryland’s first casino opened in 2010, and it has quickly joined the top-15 commercial gambling markets in the nation. The New Jersey casino gambling industry was defined this year by what didn’t happen. Voters in November rejected a plan to allow casinos in north Jersey, which would have ended Atlantic City’s decades-long casino monopoly at a time when it desperately needs to keep it. The Trump Taj Mahal closed in October, leaving Atlantic City with just seven casinos. A few years ago, the seaside gambling town had 12. Gaming win in Atlantic City reached a high of $5.2 billion in 2006, only to be cut in half over the past decade. The good news is that the freefall has stopped, with gaming revenue holding steady in 2016. Massachusetts saw two of its upcoming casinos—the $2.1 billion Wynn Boston Harbor and the $950 million MGM Springfield—move ahead with their respective projects after experiencing setbacks and delays. The former is slated to open in mid-2019, while the latter is scheduled to take wagers in September 2018. Wynn Boston Harbor will have a 90-table poker room, which will be one of the largest in the country. The Bay State’s third Las Vegas-style casino approved by lawmakers is in limbo because of a legal battle between property owners in Taunton and the Mashpee Wampanoag tribe who want to open a $1 billion casino. In a referendum, Massachusetts voters rejected a second slots-only casino. The state already has one from Penn National Gaming. In another Nov. 8 ballot question, Rhode Island voters approved a new casino in order to compete with other states. 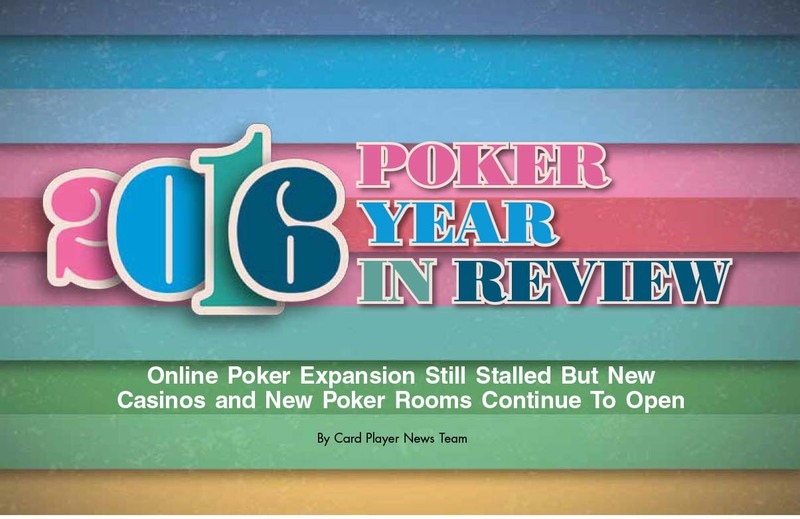 2016 will go down as one of the most exciting years in poker tournament history. As of early December, a total of 81 players have cashed for $1 million or more this year. High-stakes high roller events have increasingly become the norm, with several events with buy-ins of $25,000 or more taking place every single month this year. There was also a healthy market for more affordable fare, with events with buy-ins from $500 to $1,500 as plentiful as they have ever been. What follows is a look back at the tournaments that shaped 2016 into one of the game’s most thrilling years in recent memory. This year kicked off with a new event, a $200,000 buy-in super high roller hosted at the WPT Philippines. The tournament drew 52 entries to build a gigantic $10,039,120 prize pool. Fedor Holz defeated David Peters heads-up for the win, capturing the top prize of $3,463,500. 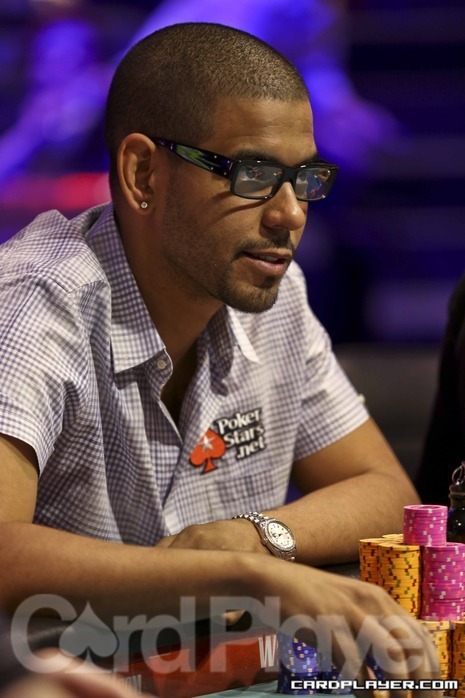 The super high roller streak continued in the Bahamas with the PokerStars Caribbean Adventure. The series kicked off with the $100,000 buy-in super high roller, which drew a huge field of 58 entries in 2016. Bryn Kenney came out on top, capturing $1,687,800 after defeating 2015 WSOP main event champion Joe McKeehen heads-up. The PCA $10,300 main event shifted from a $10,000 buy-in to a $5,000 one this year and as a result it drew a 928-player field. Canadian poker pro Mike Watson emerged victorious for his first European Poker Tour main event title and the $728,325 first-place prize. The World Series of Poker Circuit Choctaw main event later in January proved that smaller buy-in events could still award massive paydays. The $1,675 buy-in main event drew 1,565 entries. Andy Philachack scored $393,188 as the eventual champion. From the Bahamas the poker world hopped the long flight to Melbourne, Australia for the 2016 Aussie Millions. 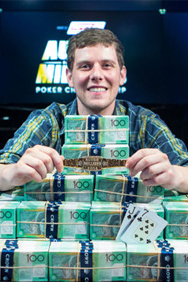 Ari Engel came out on top in the $10,000 AUD main event, defeating a field of 732 entries to win $1.6 million AUD ($1,120,110 USD). This year the Crown Casino once again played host to two super high roller events. Steve O’Dwyer won the $250,000 buy-in event, topping a field of 16 players to earn $951,960 AUD ($744,829 USD). German high-roller regular Fabian Quoss won the $100,000 buy-in event for $1,446,480 AUD ($1,012,536 USD). After spending the first month of the year globetrotting the poker tournament scene returned to America for the 2016 World Poker Tour L.A. Poker Classic $10,000 no-limit hold’em main event, which drew 515 entries. German Dietrich Fast was the last player standing, earning $1,000,800. The 2016 WPT Bay 101 Shooting Star main event drew a record-setting field of 753 entries, creating a $5.3 million prize pool. German Stefan Schillhabel came out on top, taking home $1,298,000 for the win. The three-stop California Swing of the WPT wrapped up with Harrison Gimbel taking down the WPT Rolling Thunder event near Sacramento. The 25-year-old poker pro topped a field of 409 players to win his first WPT title and the top prize of $275,112. With that there was only two more open-field WPT main events before the season-ending championship. Justin Young overcame a field of 1,222 entries to win the WPT Seminole Hard Rock Poker Showdown $3,500 buy-in for $669,161. Only a few days later Chino Rheem took down the World Poker Tour Seminole Hard Rock Poker Finale $10,000 buy-in event for $705,885. In doing so he became only the fourth player in poker history to win three WPT main event titles. For the first time ever the WPT’s season ended with a Tournament of Champions event that pitted this season’s winners, who won their entry along with their titles, and champions from previous seasons who could buy their way in to the rake-free event for $15,000. Farid Yachou became the first ever champion of this new format, earning $381,600 to bring a close to the WPT’s 14th season. The European Poker Tour also closed out its season in the fall with the EPT Grand Final festival. The massive series was highlighted by a number of major events. Ole Schemion took down the €100,000 super high roller for $1,829,002 while Fabian Quoss won the €50,000 buy-in for his second high roller title of the year and $967,927. Schemion, just days removed from his win, finished second in this event for another $977,255 after making a deal heads-up with Quoss. The EPT Grand Final €5,300 main event drew a record field of 1,098 entries, the largest in tournament’s 12-year history. In the end Jan Bendik was the last player standing, or sitting as it were. The 51-year-old Slovakian was awarded $1,097,077 for the win. With that the major tours were wrapped up for the year just in time for the summer and the World Series of Poker. Before the WSOP kicked off, though, poker’s top stars gathered for the $300,000 buy-in Super High Roller Bowl held at Aria. The 49-player field created a $15 million prize pool, with $5 million going to German poker pro Rainer Kempe in the end. 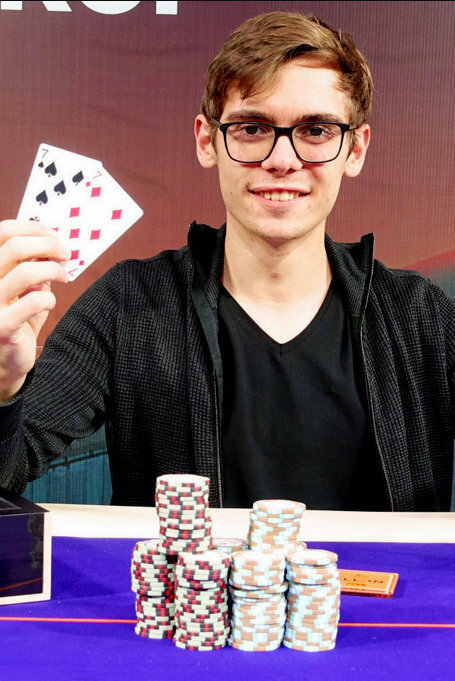 Fellow German wunderkind Fedor Holz finished second for $3,500,000. This was already his eighth final table of the year. The 2016 WSOP hosted 69 gold bracelet events, up one from last year. Over the course of the series $221,211,336 in prize money was awarded. As always, a number of recognizable names emerged with bracelets this summer, including double-bracelet winners Jason Mercier ($10,000 no-limit single draw lowball and $10,000 H.O.R.S.E. ), Ian Johns ($1,500 H.O.R.S.E. and $10,000 limit hold’em) and Benny Glaser ($10,000 and $1,500 Omaha eight-or-better). Several notable players won their first bracelets, including Kyle Julius ($1,000 turbo no-limit hold’em), Ryan D’Angelo ($1,500 no-limit single draw lowball), Jean Gaspard ($10,000 dealer’s choice), Ryan Laplante ($565 pot-limit Omaha), Sam Soverel ($1,000 pot-limit Omaha), Andrew Lichtenberger ($3,000 no-limit hold’em), David Peters ($1,500 no-limit hold’em) and Tony Dunst ($1,000 no-limit hold’em). This year’s WSOP featured three high roller events. The $50,000 Poker Players Championship was won for a second time by Brian Rast, who earned his third career bracelet and $1,296,097. 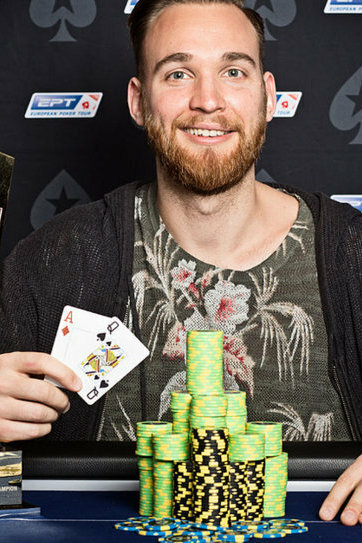 The second high roller event of the series was the second ever $25,000 pot-limit Omaha event, won this year by Jens Kyllonen for $1,127,035 and his first bracelet. The $111,111 One Drop High Roller was won by none other than Fedor Holz. The 22-year-old topped a field of 183 entries to win his first gold bracelet and the first-place prize of $4,981,775. It was Holz’s third seven-figure score of the year. Dan Smith, who had finished third in the $25,000 pot-limit Omaha event, late registered for this event and went on to finish as the runner up for $3,078,974. The marquee poker tournament of the year, the WSOP $10,000 no-limit hold’em main event, drew 6,737 entrants to build a $63,327,800 prize pool. This year the final table players were all guaranteed at least a $1,000,000 payday with $8,005,310 and the championship bracelet for the winner. Vietnam-born Las Vegas resident Qui Nguyen overcame a tough final table, utilizing a fearless and aggressive style to capture the title of poker’s world champion for 2016. August, which in recent years has been a slower time on the circuit, was chock full of tournament poker action in 2016. James Mackey took down the WPT Choctaw main event for $681,758. 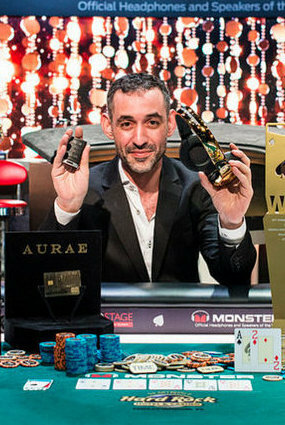 The season-ending WSOP Circuit Global Casino Championship was won by Said El-Yousfi. The Moroccan topped a field of 126 to win $343,256. In Florida, the Seminole Hard Rock Poker Open series hosted a number of massive tournaments, including the $5 million guaranteed $5,250 buy-in main event. Jason Koon outlasted a field of 847 to capture the title and the top prize of $1,000,000. The next major festival on the international tournament circuit was the EPT Barcelona. The €5,300 no-limit hold’em main event was the largest event ever in the tour’s history, topping last year’s record of 1,694 entries by attracting 1,785 total entries this year to build a prize pool of €8,657,250. Polish online qualifier Sebastian Malec emerged victorious in the end, capturing his first EPT title and the $1,258,210 first-place prize. It had been more than a month since Fedor Holz had notched a seven-figure score. He quickly rectified that situation by taking down the EPT Barcelona €50,000 super high roller for $1,471,485. 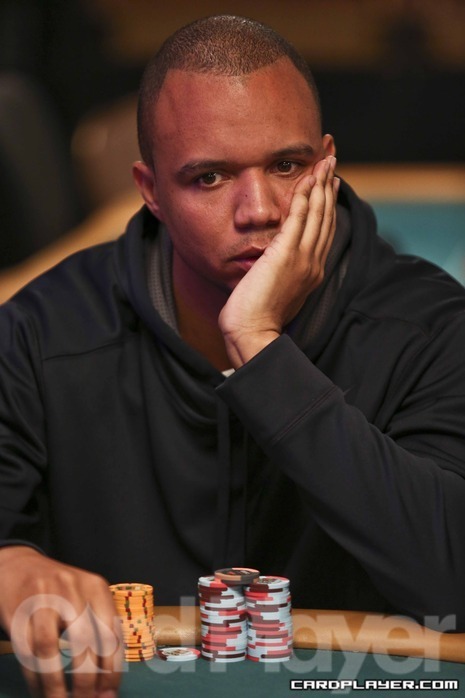 It was his fourth score of a million dollars or more this year and brought his live tournament earnings to just shy of $16 million on the year. Rounding out the summer season was the 2016 WPT Legends of Poker. The main event was won by Pat Lyons, who overcame a field of 687 entries to win his first WPT title and the first-place prize of $615,346. The first major series of the fall was the WPT Borgata Poker Open. 2012 WSOP main event runner up Jesse Sylvia emerged victorious, defeating a field of 1,179 entries to win $821,811. In the middle of October the first ever Big One for One Drop Invitational no-limit hold’em event took place. The €1 million buy-in tournament was invite, with 28 players turning out to build a €24,888,892 prize pool. In the end amateur Elliot Tsang came out on top to win €11,111,111. The EPT Malta main event was won in the final days of October by Aliaksei Boika. The Belarusian pro won €355,700 in what would be the penultimate EPT main event. Online poker giant PokerStars, who runs the EPT and several other global live tours, announced that in 2017 the largest of their international events would join under one banner as PokerStars Championship events. The first will be the event formally known as the EPT PokerStars Caribbean Adventure. The tournament will now be known as the PokerStars Championship Bahamas. After 15 years as the voice of the World Poker Tour Mike Sexton turned the tables by taking down the WPT Montreal main event. 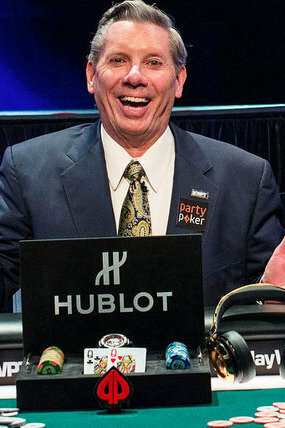 Sexton, a WSOP bracelet winner and Poker Hall of Fame member, defeated a 648-entry field to win $317,896 and his first title on the tour that he helped popularize. The final WPT event of the year was hosted by the Bellagio in Las Vegas. The Five Diamond World Poker Classic tied the record for the largest $10,000 buy-in WPT event with 792 entries and was won by James Romero for $1,938,118. Jason Koon and Ankush Mandavia had stellar high roller performances, each winning an event and cashing in another. The $100,000 event was chopped between Jan Eric Schwippert and Tom Marchese, for $1,439,274 and $1,018,566, respectively. David Peters ended the year on a tear. He made four final tables in December alone, bringing his total final tables for the year to 22. With a third-place finish in the EPT Prague main event and a win an a $25,000 Aria high roller he vaulted into the lead in the Card Player Player of the Year race as the tour entered into the home stretch. Jasper Meijer van Putten came out on top in the EPT Prague main, the last of the tour’s stops before rebranding in 2017. He topped a field of 1,192 entries to win $727,531.